In 8th grade English, students have begun reading the book One Red Paperclip, a memoir by Kyle MacDonald. 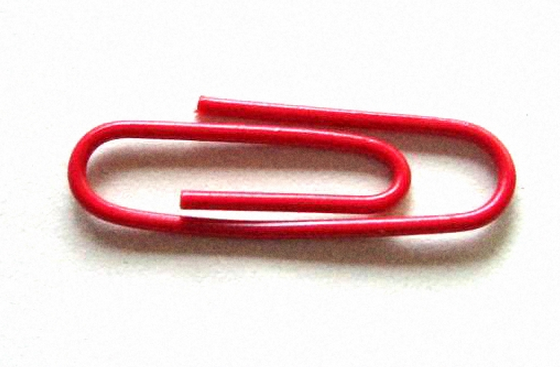 The book details Kyle's journey of trades that began with one red paperclip and ended a year later with a house. The fact that Kyle ended up with a house is not really the point of the book. Although it's significant, what he also learned was that along the way he met many good and interesting people, that if he remained open to new ideas good things happened, and that he had a lot of fun along the way. The most important thing he realized was that these things would not happen to him - he needed to make them happen by taking positive steps. So in the spirit of open-mindedness, meeting new and friendly people, having fun, and by the way acquiring something cool, the 8th graders are undertaking a version of Bigger or Better. See the links below for each student's update on their trades and their reflections.